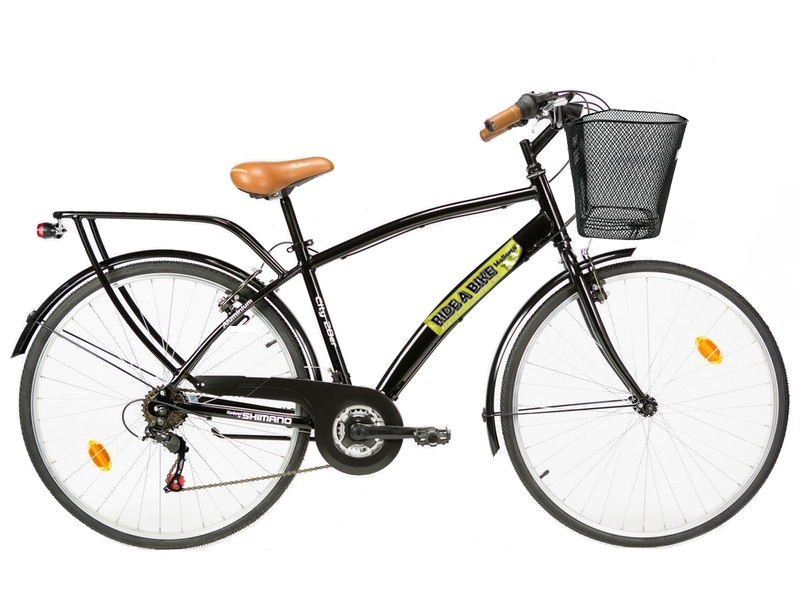 City cruiser bicycle is perfect for riding in the city and surroundings and cycle paths. Really easy going bike and easy to handle and it is provided with strong basket where you can put also heavy bags. It also comes with comfortable saddle and back carrier if you want to put the bag there or another bag, for that we include straps so it won’t fall out. We also include locks!